The Water Quality Control Division and the Source Water Protection Program awarded to CCMD a source water protection planning grant in the amount of $5,000. Mr. Paul Hempel, who is with the Colorado Rural Water Association, provided training and technical assistance to Colorado Centre Metropolitan District in developing a Source Water Protection Plan. Through input from the CRWA, WQCD, the steering committee and stakeholders, a Source Water Protection Plan compiled by CCMD District Manager, Dr. Testa, was approved at the October 28, 2010 regular board meeting. 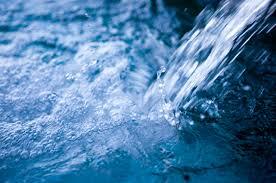 The CCMD Source Water Protection Plan is available on the CCMD website. To support the plan and implement best management practices, information will be made available in newsletters, the website, at board meetings, etc. Household hazardous wastes like insecticides, pesticides, paint, solvents, used motor oil, and other auto fluids can poison aquatic life. Land animals and people can become sick or die from eating diseased fish and shellfish or ingesting polluted water. Polluted storm water often affects drinking water sources. This can affect human health and increase drinking water treatment costs. Many products used in the home, garden, garage and hobby shop contain hazardous chemicals that can potentially harm the user and/or the environment. Use safety precautions when using, storing or disposing of any hazardous products. When discarding these products, they become household hazardous waste requiring proper disposal. A great resource is the El Paso County Recycling Directory. 1. Use Fertilizers sparingly and sweep up driveways, sidewalks, and gutters. 2. Never dump anything down storm drains or in streams. 3. Vegetate bare spots in your yard. 4. Compost your yard waste. 5. Use least toxic pesticides, follow labels, and learn how to prevent pest problems. 6. Direct downspouts away from paved surfaces; consider a rain garden to capture runoff. 7. Take your car to the car wash instead of washing it in the driveway. 8. Check your car for leaks and recycle your motor oil. 9. Pick up after your pet. 10. Have your septic tank pumped and system inspected regularly. Sediment can cloud the water and make it difficult or impossible for aquatic plants to grow. Sediment also can destroy aquatic habitats. Excess nutrients can cause algae blooms. When algae die, they sink to the bottom and decompose in a process that removes oxygen from the water. Fish and other aquatic organism can’t exist in water with low dissolved oxygen levels. Bacteria and other pathogens can wash into swimming areas and create health hazards, often making beach closures necessary. Debris (plastic bags, six-pack rings, bottles, and cigarette butts) washed into water bodies can choke, suffocate, or disable aquatic life like ducks, fish, turtles, and birds. Household hazardous wastes like insecticides, pesticides, paint, solvents, used motor oil, and other auto fluids can poison aquatic life. Land animals and people can become sick or die from eating diseased fish and shellfish or ingesting polluted water. Polluted storm water often affects drinking water sources. This can affect human health and increase drinking water treatment costs. Pet Waste can be a major source of bacteria and excess nutrients in local waters. When walking your pet, remember pick up the waste and dispose of it properly. Flushing pet waste is the best disposal method. Leaving pet waste on the ground increases public health risks by allowing harmful bacteria and nutrients to wash into the storm drain and eventually into local water bodies. ● Properly Dispose of Chemical – Never pour on the ground, down the drain, or toilet! ● Purchase Safer Alternative Products – Choose natural alternative or Green Products! ● Good Livestock Management – Keep animals and their waste out of water ways! ●Properly Dispose of Drugs & Personal Care Products – Pour medications into a seal-able plastic bag and add kitty litter, sawdust or coffee grounds & deposit in the trash along with unused personal care products. ● Dispose of Pet Waste Properly – Flush pet waste down the toilet, put into the garbage or bury under 8” of soil. Pick up pet waste when walking your dog! ● Petroleum Storage – Ensure storage tanks are made of high quality steel and located on a concrete pad with secondary containment to guard against leaks and spills. ● Report Spills on Roadways – Report spills from vehicles on the roadways in the protection area by calling “911” to clean-up the spill and prevent it from entering the waterways.